In facing the terrible realities of living with and dying from cancer, those affected—the teenagers, their families, and friends—are left looking for answers, meaning, and comfort for the situations they find themselves in. Many characters in the novel turn to religion to provide answers for their fates. This idea is established from the start of the novel as Hazel attends the support group, which is held in the basement of a church. The church is shaped like a cross and the room is positioned where Jesus’ heart would have been during his crucifixion. Hazel, Isaac, and Augustus joke that the group takes place in the “Literal Heart of Jesus”, but in a figurative sense, the position of the group alludes to the beliefs of some people—that the sick hold a special place in Jesus’ heart. Religion provides easy answers for the affliction and provides a sense of hope that the fate of the characters is resting in the hands of some higher power. For many of the characters, however, including Hazel and Augustus, religion or God is not sufficient in explaining their situation. Hazel, August, and other characters turn toward different philosophical explanations to find meaning in their lives and deaths. These philosophical notions span from existentialism, as in Augustus’ search for meaning in his life, to nihilism, as in the philosophical leanings of Peter Van Houten. It is along these philosophical lines that Hazel’s character experiences the greatest transformation. 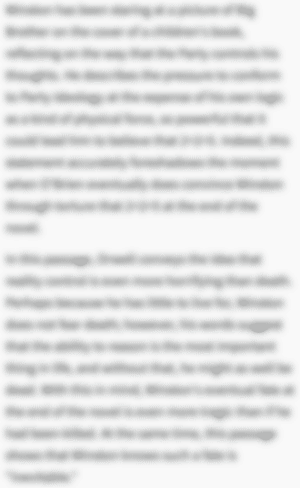 At the beginning of the novel, Hazel responds to Augustus’ fear of oblivion by stating that everything will die, that there was a time before consciousness and there will be a time after it. She fears that her own death will only hurt others and that after she dies nothing of her will be left behind. Because of this fear, she turns to An Imperial Affliction in hopes of finding answers to her fears. She is seeking to understand what happens after the end of the novel, as she feels it will reveal something about what will happen to her after her life ends, answering the looming existential questions the burden her. Through her relationship with Augustus, however, her philosophical standpoint changes. She realizes that after death people live on through their relationships with their loved ones and the impacts they make on the lives of other people. In this way, the nihilistic philosophy she upholds at the beginning of the book transforms, and she develops a new philosophy about life and death that provides her some hope and comfort about her fate. 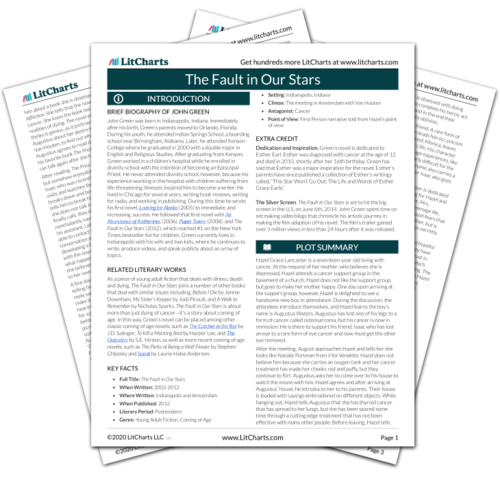 The ThemeTracker below shows where, and to what degree, the theme of Religion and Philosophy appears in each chapter of The Fault in Our Stars. Click or tap on any chapter to read its Summary & Analysis. 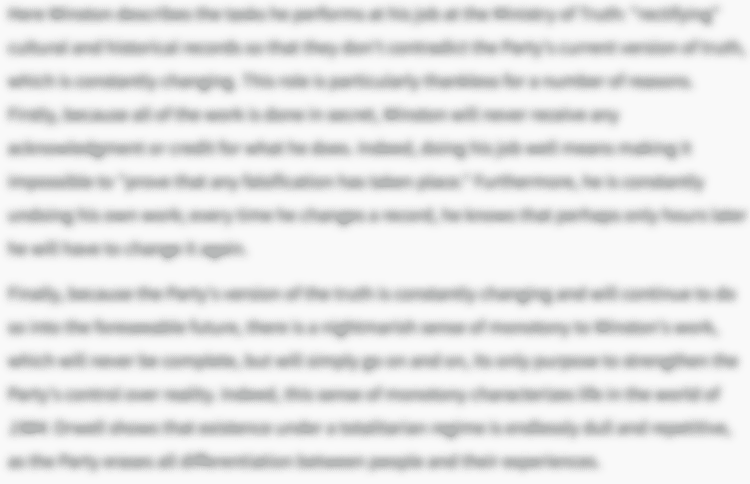 Below you will find the important quotes in The Fault in Our Stars related to the theme of Religion and Philosophy. Cancer kids are essentially side effects of the relentless mutation that made the diversity of life on earth possible. It looked like an old painting, but real—everything achingly idyllic in the morning light—and I thought about how wonderfully strange it would be to live in a place where almost everything had been built by the dead. “You get to battle cancer,” I said. “That’s your battle. And you’ll keep fighting,” I told him. Powers, Jacob. "The Fault in Our Stars Themes: Religion and Philosophy." LitCharts. LitCharts LLC, 16 Apr 2014. Web. 18 Apr 2019. Powers, Jacob. 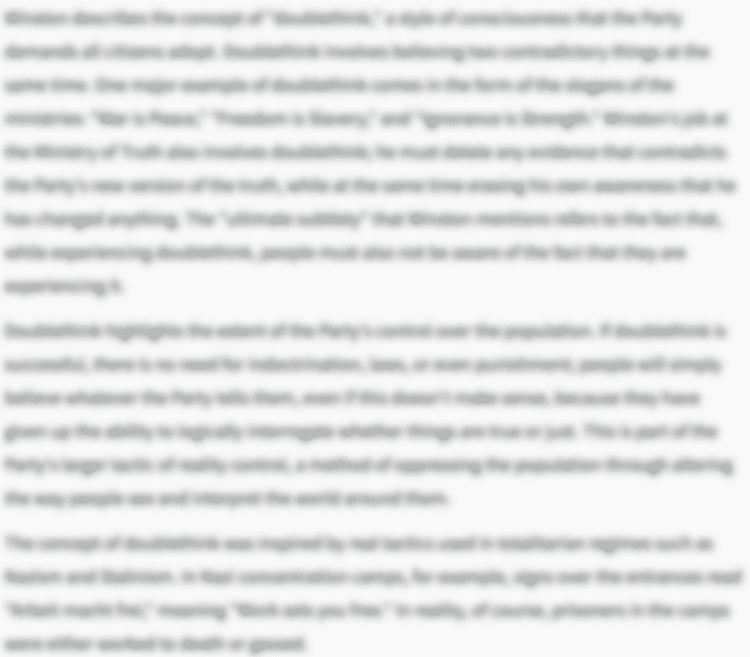 "The Fault in Our Stars Themes: Religion and Philosophy." LitCharts LLC, April 16, 2014. 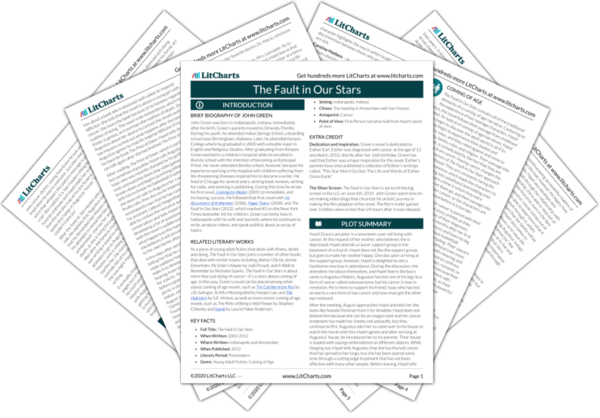 Retrieved April 18, 2019. https://www.litcharts.com/lit/the-fault-in-our-stars/themes/religion-and-philosophy.